Po the panda has been chosen to be the Dragon Warrior. Can he save the Valley of Peace from bad Tai Lung?Read it yourself with Ladybird is one of Ladybird's best-selling reading series. For over thirty-five years it has helped young children who are learning to read develop and improve their reading skills.Each Read it yourself book is very carefully written to include many key, high-frequency words that are vital for learning to read, as well as a limited number of story words that are introduced and practised throughout. Simple sentences and frequently repeated words help to build the confidence of beginner readers and the four different levels of books support children all the way from very first reading practice through to independent, fluent reading.There are more than ninety titles in the Read it yourself series, ranging from classic fairy tales and traditional world stories to favourite children's brands such as Peppa Pig, Kung Fu Panda and Peter Rabbit. A range of first reference titles complete the series, with information books about favourite subjects that even the most reluctant readers will enjoy.Each book has been carefully checked by educational consultants and can be read independently at home or used in a guided reading session at school. 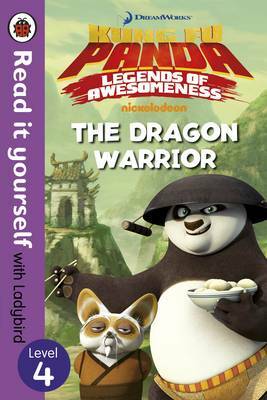 Further content includes comprehension questions or puzzles, helpful notes for parents, carers and teachers, and book band information for use in schools.Kung Fu Panda: The Dragon Warrior is a Level 4 Read it yourself book, ideal for children who are ready to read longer stories with a wider vocabulary and are keen to start reading independently.